At PowerObjects, we know that your organization’s people are your biggest asset. We want to make sure we bring them along on this Microsoft Dynamics 365 journey with us! As change managers, we focus on how your team is going to adapt to new processes and how to make your implementation smoother. 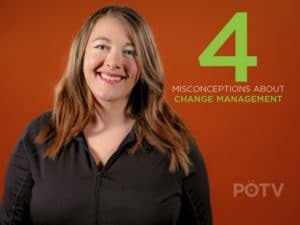 In today’s Dynamics 365 In Focus video, Sara Jo discusses four common misconceptions we hear from prospects when talking about change management on a Dynamics 365 implementation!